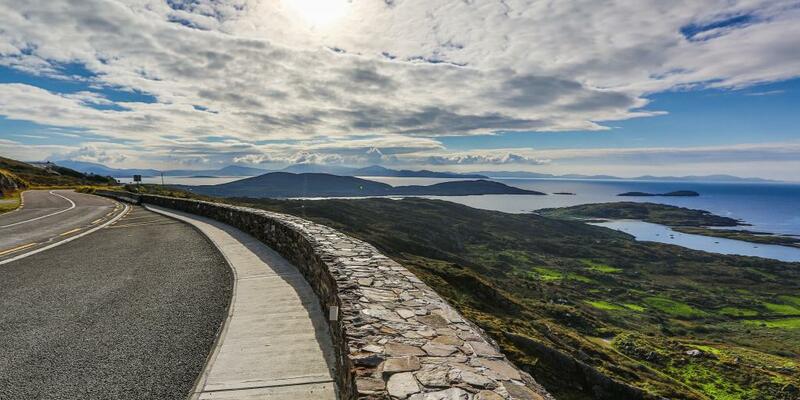 If a scenic road trip is what you're after, there's nowhere better than Ireland, with its diverse cities and majestic castles nestled between miles of stunning mountains, lakes and parks. With so many places to visit, coming up with the perfect itinerary is definitely a daunting task, but fear not - we've done all the planning for you! 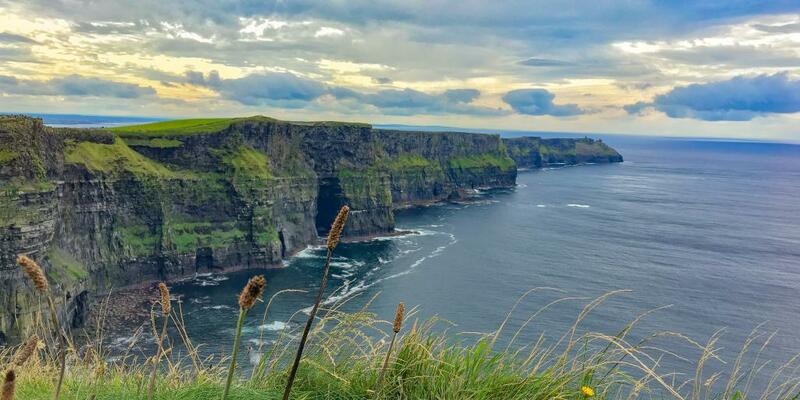 From drinking Guinness in Dublin to navigating the incredible Wild Atlantic Way and seeing the dramatic Cliffs of Moher, here's how to spend 10 days exploring Ireland by car. We'll start in capital city Dublin, which has an international airport, ferry connections to the UK, and loads of car hire options. What better place to kick off an Irish holiday than in the capital, Dublin? Not only does it have a well-connected international airport and ferry links to Holyhead in Wales, but it's also the perfect place to introduce you to Ireland and the vibrant culture you'll experience throughout the drive. Because the airport is so close to the city centre, we recommend holding off on hiring a car for now and hopping on the Airlink bus (number 747 towards Heuston Station) into the centre to explore on foot. There are loads of stops on the service, so find one close to your hotel to drop off your bags. Don't worry, there are plenty of car rental companies in Dublin so you'll have no trouble picking up a car once you're ready. If you've arrived in Dublin by ferry from the UK and have brought your own car with you, it's best to park up before you explore. There are ten Q-Parks available in the city, so you shouldn't have any issues finding a spot. You'll spend the rest of the day exploring Dublin before hitting the road on day two, so take to the streets for a spot of sightseeing. Once you've checked in to your hotel and freshened up after your journey, we recommend heading down O'Connell Street, one of the central roads in the city, to begin your walking tour of Dublin. Here you'll find the statues of two important Dubliners to introduce you to the city's heritage. The first, around halfway down the street, is a sculpture of the iconic writer James Joyce, and the second is the O'Connell Monument built in honour of Daniel O'Connell, a famous campaigner for Catholic emancipation in the 19th century. Giving a glimpse into two key areas of Dublin's history, this popular street is the perfect place for your first stroll in Dublin. 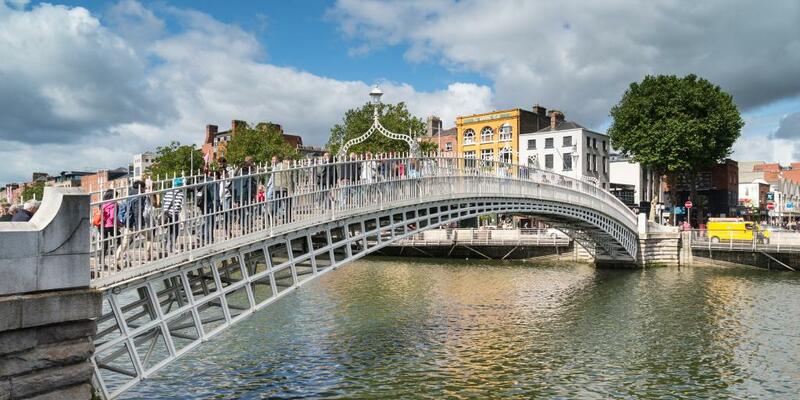 After admiring the statues you'll want to cross the river, but instead of crossing busy O'Connell Bridge, head slightly west to the famous Ha'penny bridge, a cast iron walkway which used to cost half a penny to cross (hence its name). This is a much more scenic option for your walking tour. 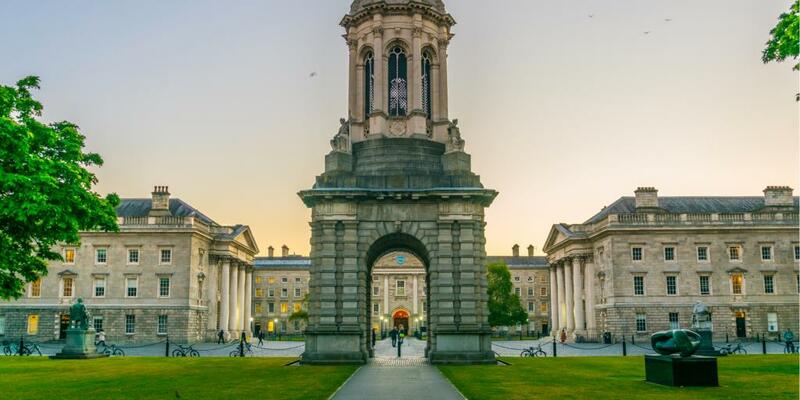 Once across the bridge, head east to Trinity College Dublin, one of Ireland's world-ranking universities, boasting a whole host of famous graduates including writer Oscar Wilde. It was recently made compulsory to view the university on one of their guided tours, rather than solo, but this isn't a bad thing as the tours are super interesting and informative. Buy a ticket at the front gate and enjoy the next available tour. 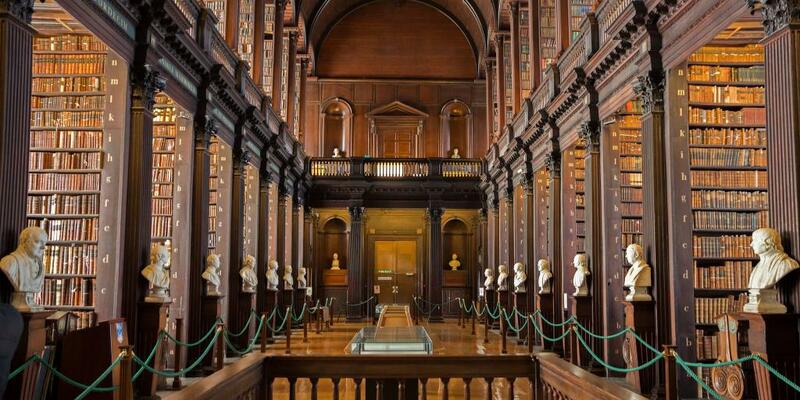 Top tip: Be sure to buy a combined ticket for the college, the Book of Kells Exhibition and the Old Library to get the full picture of Dublin's scholarly past (€14 altogether). Trust us, you won't want to miss any of it. Once you've had enough of Trinity College, head to The Pig's Ear Restaurant across the road for a late lunch of sophisticated traditional-meets-modern Irish food, before wandering west to explore Dublin Castle. The castle was thought to be the centre of British power in Ireland for 700 years, and was commissioned by King John in 1204. Although the Record Tower is the only surviving original feature, the 18th-century rebuild is still quite the sight to behold. 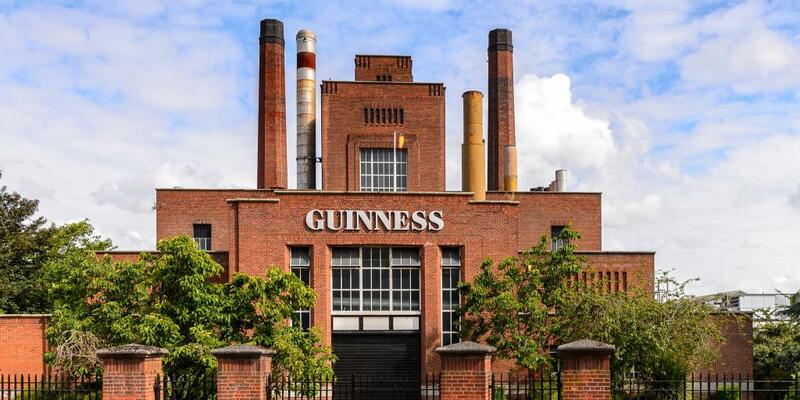 For a chilled end to a busy day, take a short walk west to the Guinness Storehouse to learn all about the quintessentially Irish pint. Make your way up through the seven floors of Guinness's brewing heritage, or just make a beeline for the rooftop Gravity Bar for a well-earned drink. There are also two restaurants here, so stick around for dinner, if you fancy. 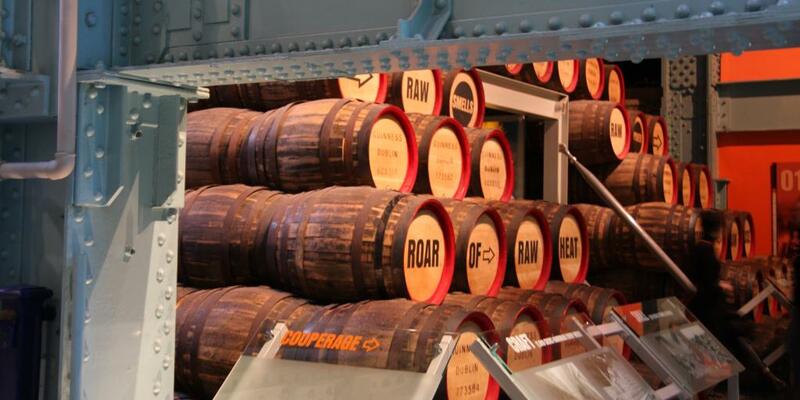 Note: The Guinness Storehouse closes at 8pm in July and August, and 7pm the rest of the year, so make sure you arrive with enough time to explore. After all that walking, head back to your hotel and relax, ready to set off early on day two for the first part of your scenic drive! Wake up early and head out to pick up your hire car - the real road trip starts here! 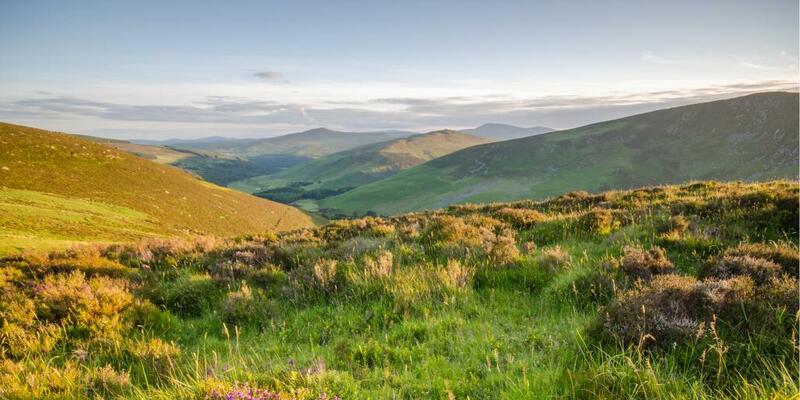 The route today takes you from Dublin to Kilkenny through the stunning Wicklow Mountains in around three hours, but you'll probably want to stop off to admire the views, so expect the total journey to take a bit longer. Make your way out of the city, heading south to meet up with the R115 which will take you all the way down through the Wicklow Mountains National Park. 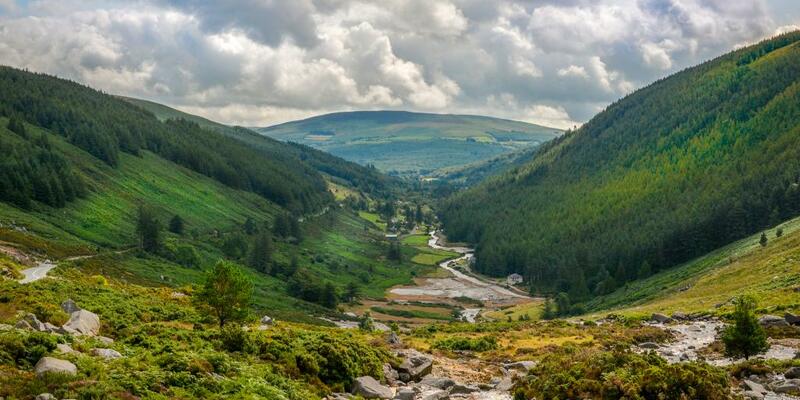 As one of six national parks in Ireland, the Wicklow Mountains are the pinnacle of Irish natural beauty, surrounding you with lush green hills, blue lakes, and dramatic valleys within an hour of leaving Dublin. Travel tip: Look out for the magnificent Glenmacnass Waterfall as you're driving through the park. Follow the R115 down to Glendalough, the most visited area of the park, then take your first scenic detour and drive west on the R756 up through Glendalough Valley. The road snakes through the hills and can be quite narrow, but it's worth it for the dramatic views. Definitely stop once you get to the top to take a moment to admire your surroundings and the beautiful road you've just driven. Once you're ready to move on, continue to follow the R756, joining up briefly with the R747 to connect you with the M9. The M9 will take you most of the way to Kilkenny, with a few extra little roads at the end of the journey to get you into the city. Find your hotel, drop off the car and get ready for some more city exploring. A great place to start is by heading straight to Kilkenny Chamber Office to purchase a Medieval Mile Pass, which allows you to enter many of the attractions in the city's famous Medieval quarter. The pass also gets you discounts in various cafes and restaurants on the mile, so grab lunch before you start your sightseeing as you'll be hungry after the morning's drive. 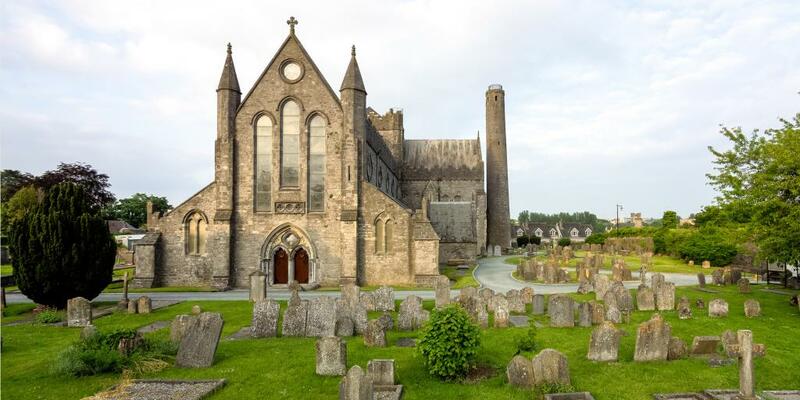 Once you've refuelled, head to St. Canice's Cathedral which book-ends the north end of the Medieval Mile (with Kilkenny Castle in the south). This 13th-century cathedral is a key feature of Kilkenny's heritage, with the city's name deriving from the Irish Cill Chainnigh meaning 'Church of Canice.' so this is definitely an important landmark to prioritise. As well as the beautiful stained-glass windows, impressive marble floors and fascinating tombstones of the cathedral's interior, check out the accompanying Irish Round Tower, the only original feature of the building still standing (the cathedral itself is thought to have been re-built three times in its history). Wander down the rest of the mile, dipping in to any of the attractions that take your fancy. Highlights include Rothe House and The Medieval Mile Museum which are both included in the Pass. 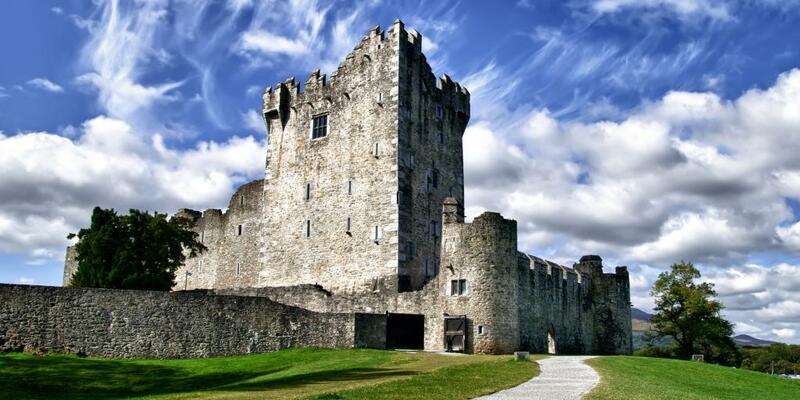 Once you reach the south end of the mile, stroll around the castle grounds and the surrounding park (go into the castle, if you want), then check out the National Craft Gallery across the road to discover the arty side to Kilkenny. 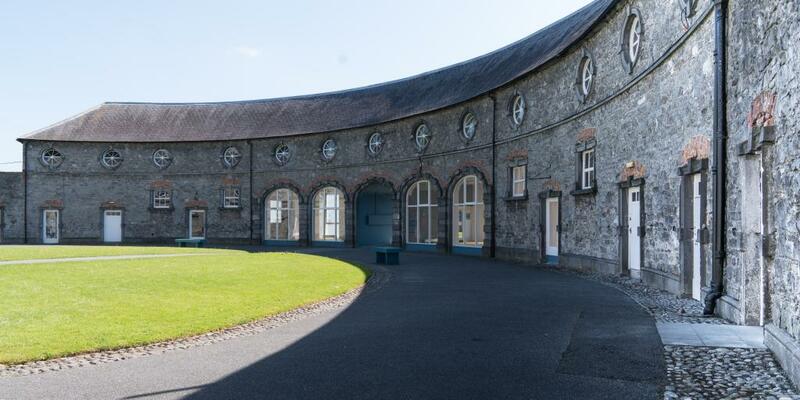 The gallery is housed in old stables and showcases a range of contemporary Irish arts and crafts, including ceramics, jewellery,and textiles. A visit to the gallery will complete your authentic Kilkenny experience, checking two of the city's main identifiers off your list. Continue on your art-themed tour of Kilkenny this morning by following the MADE in Kilkenny Craft Trail to find some great souvenirs. MADE in Kilkenny was set up to gather all of Kilkenny's craftspeople together to help the industry grow and promote the county as one of the best destinations for handmade crafts in Ireland. Download the map from the Visit Kilkenny website and follow the trail for some local treasures. Once you're happy you've found the best crafts, head to Mocha's Vintage Tea Rooms, a popular cafe with vintage French vibes, for some lunch before getting ready to hit the road again for Cork. Leaving in the early afternoon of day three, take the R693 north west to join up with the M8. Yeah yeah, we know that Cork is south of Kilkenny, but this route is the best way to get to the Rock of Cashel, your next scenic stop off. 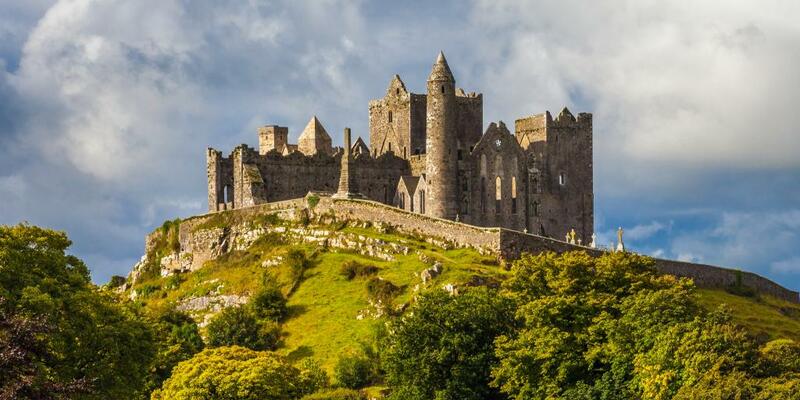 Come off the M8 to join the R639, and the Rock of Cashel is around an hour outside of Kilkenny. The Rock of Cashel, also known as St. Patrick's Rock and Cashel of the Kings, is a group of dramatic Medieval buildings perched on a limestone rock thought to have been the seat of the High Kings of Munster. Most of the buildings you can visit today date back to the 12th and 13th centuries when the rock was given to the Church, and include a round tower, a chapel, and a cathedral. If you fancy a longer stop, buy a ticket and head inside (admission costs €8), or if you're eager to get to Cork, just pause to admire the dramatic buildings and their surroundings. Back on the road, rejoin the M8 and cruise all the way down to Cork, arriving in the late afternoon/early evening. As Ireland's self-proclaimed 'rebel city', you'll be welcomed into a lively atmosphere with a diverse mix of ancient architecture and trendy venues and eateries. Drop off your things at your hotel, and go in search of some dinner to perk you up for a night of entertainment at the Triskel Arts Centre. 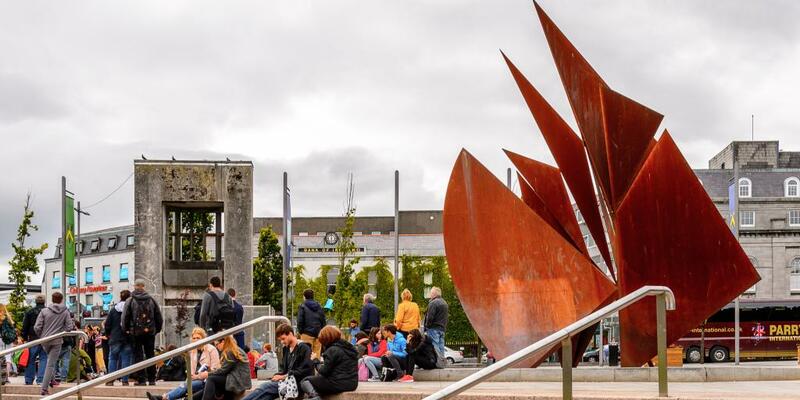 This cultural hub is one of Cork's go-to spots for all manner of events ranging from live music to international cinema to visual art. Check ahead to see what's on the evening you arrive, or take a chance and go for whatever starts next. This is a great way to get acquainted with the quirky atmosphere you'll find all over Cork on day four. Start day four with a leisurely stroll to take in the city, starting at the National Monument. This Irish Gothic statue was unveiled on St Patrick's Day in 1906 and commemorates those that died in Ireland's fight for independence. After admiring the dramatic tribute, head down the famous Oliver Plunkett Street. 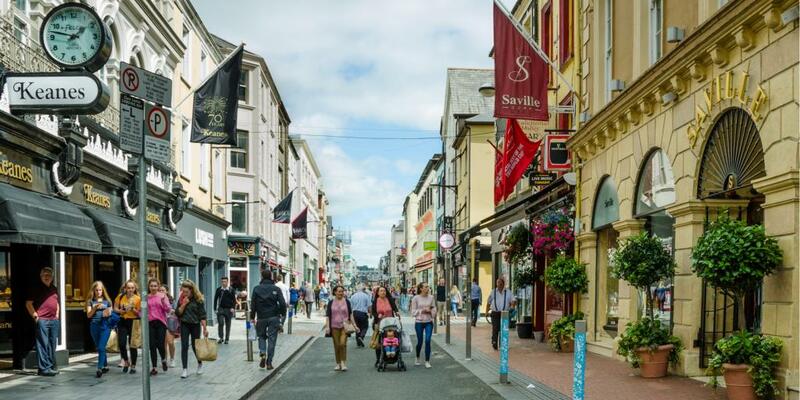 Dubbed by some the best street in Ireland, it's a long, partially pedestrianised street lined with shops, buskers, historic buildings, and over 100 independent businesses which have been passed down through generations of Corkonians. There is a real sense of community here, making it a joy to include this street on your stop in Cork. See if you can spot the statue of the Evening Echo Boy commemorating the old tradition of young homeless boys selling the Evening Echo newspaper. 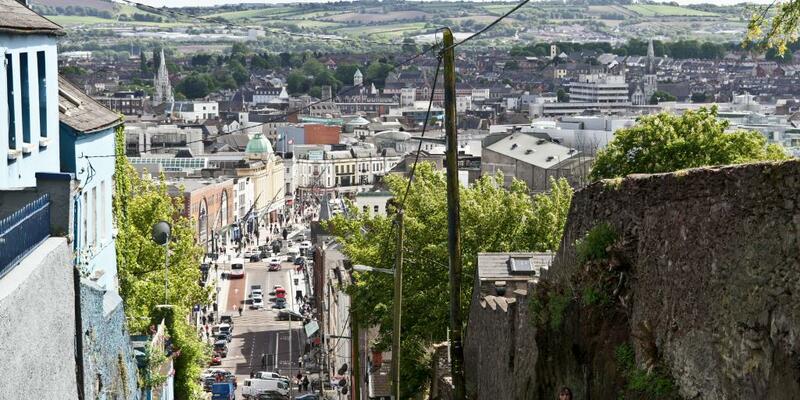 After you're done exploring the street, head over St Patrick's Bridge and walk to the top of St Patrick's Hill for the best view over the city. Be warned, the hill is super steep, but its pretty pastel-coloured houses and the panoramic views at the top make it completely worth it (though if you wanted to, you could always hop in a taxi to the top and walk back down). 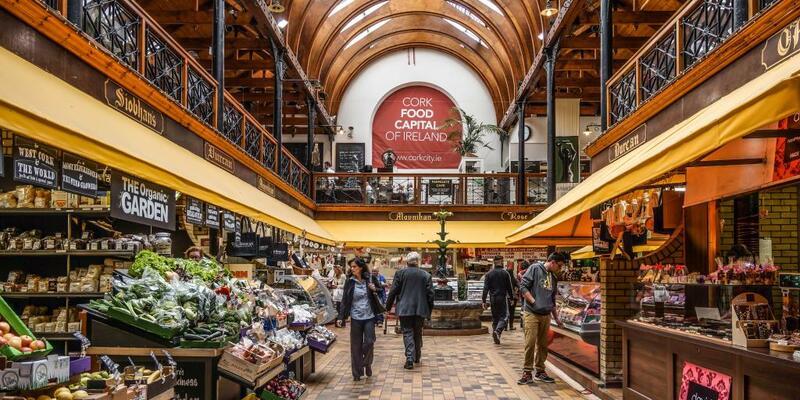 Cork is also known for its incredible food scene and is often thought of as the food capital of Ireland, so head back down the hill and across the river to spend your last few hours here at the English Market. Admire the beautiful Victorian architecture as you browse the amazing range of fresh, local produce, and chat to the friendly vendors about their stalls. All the ingredients are bound to make you hungry, so before you leave head to the in-market Farmgate Cafe for a late lunch overlooking the busy stalls. The cafe's aim is to celebrate the Irish ingredients on sale in the market, making this one of the best ways to experience Cork's foodie heritage. After lunch head back to your hotel for your things and set off for Killarney; no detours this time, just drive straight there. It should take around an hour and a half so you'll arrive in the late afternoon. We'd recommend spending the whole of day five enjoying the Killarney National Park, so use today to get to grips with the town. Much of the tourism in this small town is geared towards day trips to the National Park, so don't expect loads of attractions to visit. Nevertheless it's still an immensely charming place to spend an afternoon exploring. Wandering down the central high street is a good place to start, checking out the local shops and businesses, before heading west to admire St Mary's Cathedral on the edge of the National Park. This cathedral is relatively modern compared to some others you'll encounter on this trip, with the Great Famine preventing it from opening until the 1850s, and the interior having been almost entirely reconstructed in the 1970s. The cathedral is also unusually located in the middle of a big field rather than in the town, so it's a beautiful setting for a spot of late afternoon sun (fingers crossed…) and a taste of the stunning natural landscape you'll discover on day five. For dinner, heading back to the high street is your best bet and a great restaurant to try is Treyvaud's. This family-run eatery specialises in both Irish and international cuisine, with many local Kerry ingredients on the menu. Plus, one half of the brother/head chef duo Paul Treyvaud is fast becoming a foodie celebrity in Ireland, so it's a no-brainer to nab a table here. 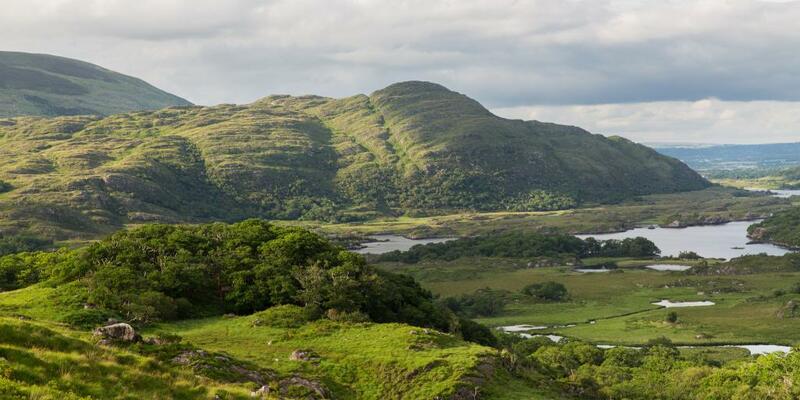 Get those walking boots on; it's time to explore the beautiful Killarney National Park. 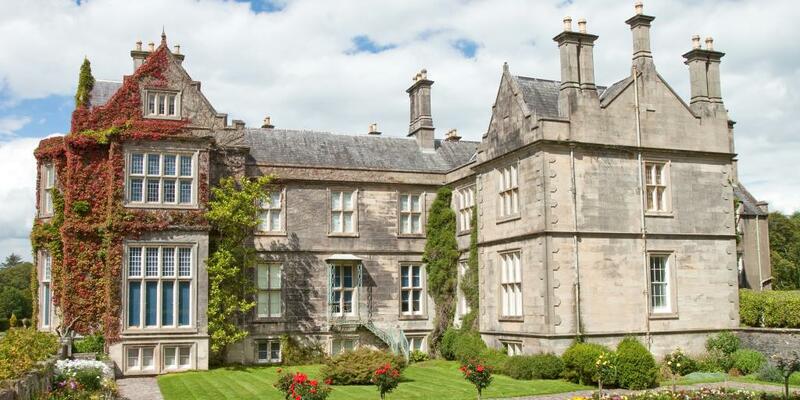 You can either leave the car behind and; walk to historic Muckross House, which is around 5.5 kilometres from Killarney High Street (it should take just over an hour). Or, to save some time and energy, you could drive there and park up at one of the free parking lots. Muckross House is a great starting point for exploring the National Park as it's situated between two of the park's three famous lakes. The house itself is a well-preserved Victorian mansion with many original artefacts to tell the story of how the land-owning classes would've lived at the time. There are also beautiful gardens surrounding the house adding to its stunning backdrop. Grab lunch at the Garden Restaurant at Muckross, a relaxed self-service restaurant in the house grounds, or pick up a sandwich here to take with you on the remainder of your walk. 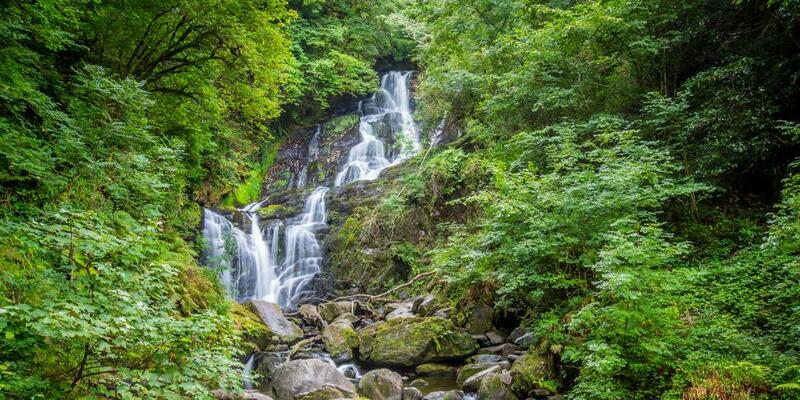 After you've spent a few hours exploring the house and gardens, continue walking south into the park for another 2.8 kilometres to reach idyllic Torc Waterfall (it should take you around 40 minutes). This beautiful 70-foot-high waterfall is nestled in lush green woodland, and discovering it feels like you've stumbled upon an oasis. For the best views of the lakes, push yourself to walk up the steps to the side of the waterfall; your feet may ache (there are around 100 steps), but the photo opportunity is unmissable. Travel tip: The falls are at their best after heavy rain, so embrace the wet Irish weather! If you've walked rather than driven here, we'd recommend doubling back to reach Killarney town (unless you'd rather walk the 270 kilometre Kerry Way in a loop back…), so you'll get double the satisfaction from this scenic route. If that walk sounds a bit too rigorous, there are some alternatives. The first option is to take a traditional Jaunting Car (horse and cart) Tour of Killarney National Park, complete with a local guide to tell you all the facts. Drive to Muckross House and pick up the Jaunting Car here for a tour of the house and gardens and Torc Waterfall. Alternatively, if you still fancy a stroll but want something a little shorter you could walk to Ross Castle instead. For the more scenic route it's about 3.7 kilometres, taking 45 minutes, or there's a more direct 2.9 kilometre route, which takes around 35 minutes. The castle dates back to the Middle Ages, and is just as beautiful as Muckross House if you'd prefer a less taxing walk (you may want to bring a picnic for this option as there's no cafe). Note: There is a very steep incline to access the castle, so it may not be suitable for visitors with mobility issues. Enjoy a relaxing evening back in Killarney town, and try to get an early night; you'll want to leave as early as possible for your day six drive. Head back to the high street and try another restaurant for dinner, then retire to your hotel to rest your tired legs! Wake up bright and and early for the longest, and most scenic, part of your trip. On your way out of Killarney grab a picnic from one of the supermarkets in town, fill up the car with a full tank of fuel, and hit the road travelling south out of town on the N71 to join up with the Ring of Kerry road just south of Muckross. 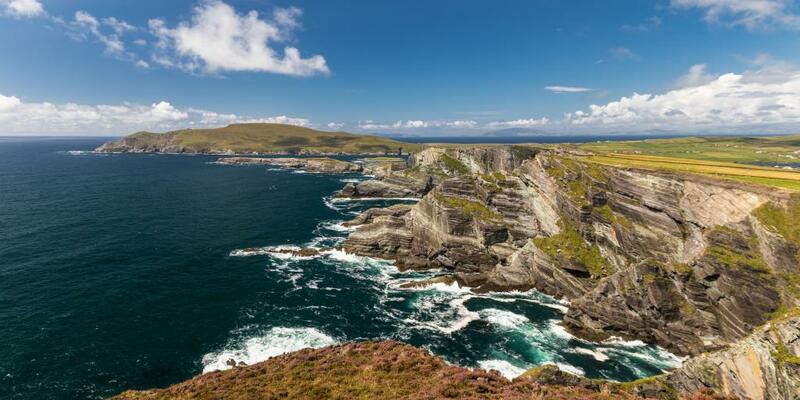 This famous 179 kilometre-loop of the Iveragh Peninsula is one of the most popular driving routes in Ireland thanks to its spectacular views of the Atlantic, deserted beaches, mountains, and lakes. Follow the Ring of Kerry past the Upper Lake before stopping at Ladies View for a final panoramic view of Killarney National Park. From here you basically want to follow the ring as it meets the ocean and hugs the coastline, stopping wherever you fancy to snap a photo or just gaze at the stunning sights. Roughly halfway round it's time for a detour to Skellig Ring, a loop which extends off the Ring of Kerry. Take the R567 west to join up with the R566 which becomes this slightly shorter, much lesser known circuit. The great thing about Skellig Ring is that it's too narrow for tour buses, so it's a much more off-the-beaten-track drive you're unlikely to share with many others. Follow Skellig Ring past Ballinskelligs Castle, around the dramatic coastline to the Kerry Cliffs near Portmagee village, which is a great spot for lunch. These rugged cliffs are, in our opinion, totally underrated and under visited, so definitely stop here for a very scenic sandwich. Continue to follow Skellig Ring until it reaches the R565 which will connect you back to the Ring of Kerry. Continue on the ring until you reach Killorglin, where you should head north on the N70 towards the Dingle Peninsula rather than looping back around to Killarney. At Castlemaine, head west on the R561 and cruise down the Dingle Peninsula. As you drive along the coast make a note of how to get to Inch Beach, you'll be back here on day seven. For now, though, join up with the N86 and head straight to Dingle town for dinner. The restaurant itself is cosy with a brightly coloured nautical theme, so you'll feel right at home in this coastal town in no time. Have another early morning today to make the most of the beautiful peninsula you passed through on your drive to Dingle Town. Everyone knows Irish weather can be a little unpredictable, so we're giving you two suggestions of how to spend day seven. Either way, aim to be back in Dingle Town by mid-afternoon to set off for Limerick. 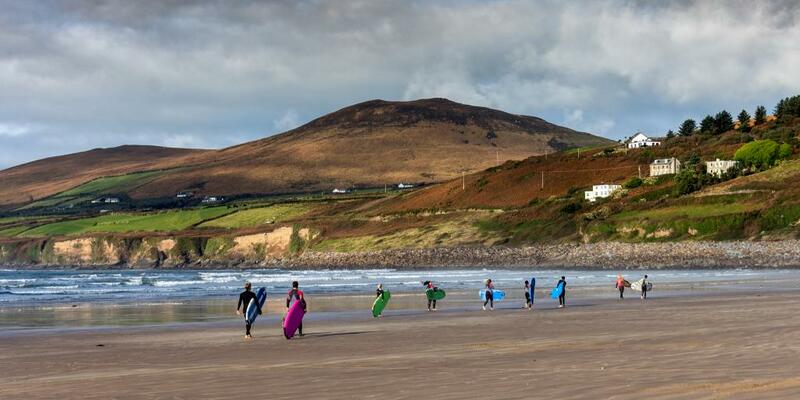 Option one is a trip to Inch Beach (which you spotted on the drive in) for some outdoor activities. This three-mile spit of sand which juts out from the Dingle Peninsula is a beautiful, spacious beach that's completely flat, so it's perfect for some water sports or a scenic walk along the shore. If you're brave enough to face the waves, have a go at surfing or sea kayaking; there are a few places at the top of the beach where you can hire the equipment if you don't have your own. If you don't fancy getting wet, the beach is equally lovely from the sand, so you could always walk its length and check out the views along the peninsula. If it's wet and cold, option two might sound more appealing - another scenic drive, this time around the Slea Head Loop. Take the R559 out of the town and follow it as it loops around the end of the peninsula. This drive is reminiscent of the Skellig Ring, so you know you're in for some spectacularly rugged Irish coastline and beautiful views. If the weather isn't too wet and windy, stop for a minute at Slea Head (there's an area where you can pull over), the westernmost point of the Dingle Peninsula, for a break and a photo before following the loop back around to the town. There are a couple of places you can stop on your way round if you fancy it, including the Celtic Prehistoric Museum, the collection of Beehive Houses (drystone huts which resemble beehives) in Fahan, or Caifé Na Trá for an incredibly scenic cup of tea (this is also a great spot for lunch). The whole loop is around 39 miles long so will take an hour or two to drive straight, but it's much better to take your time and prolong the drive as much as you can. Note: It's advisable to only follow the loop clockwise (which this route does) to avoid having to face oncoming tour buses, and be warned, this is one of the areas where the signs will be in Gaelic, so try to get familiar with the route before you set off from town. After all the scenic detours of the last few days, the drive from Dingle to Limerick is a straight two and a half hour drive, so aim to leave Dingle by around 4pm to arrive in time for dinner. The drive is really simple - essentially you just need to take the N86 out of Dingle Town, following it until you get to Tralee where you'll join up with the N21 which goes all the way to Limerick (leading into the M20 for the last stretch). Once you've arrived, park the car, freshen up and head out for dinner. For some more fresh Irish food (we know you won't be able to get enough of the incredible ingredients) head to Freddy's Bistro - a cosy restaurant run by three sisters. Generally regarded as one of Limerick's best eateries, it has a great range of fresh cooked-to-order dishes served in a candlelit 19th-century building; the perfect place to wind down after a busy day, we think. If you're not completely shattered by this point, take a short walk to Dolan's for a traditional Irish pub experience. Grab a drink and enjoy the daily live music and lively atmosphere of this beloved venue. Note: Anyone is welcome to join in the music, so get stuck in, we dare you! Once you've had enough, head back to your hotel and relax. Don't worry about getting up early on day eight, it's about time for a lie in! Start exploring Limerick mid-morning of day eight. Having suffered from a spate of violence in the past, this city has really come into its own since winning the Irish City of Culture award in 2014. 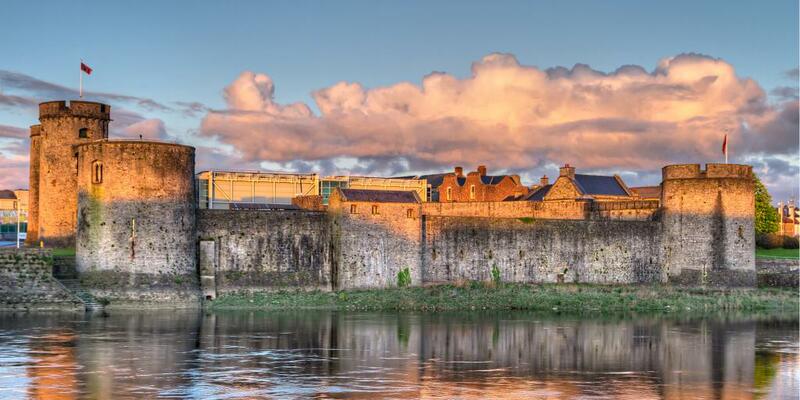 There's loads to see here that will definitely make you change your mind about Limerick. Start your tour at King John's Castle in the north. 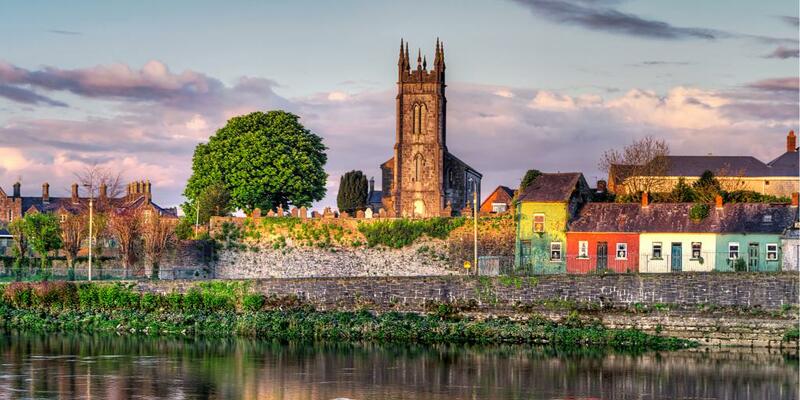 It's located on King's Island, a portion of the city surrounded by rivers Shannon and Abbey, standing proud as one of the best preserved Norman castles in Europe. The castle itself is thought to have been built in the 13th century, and much of it remains today for you to explore, however its shining feature is the brand new visitor centre complete with 3D models, hands-on exhibits, animations, and videos. Start in this contemporary section of the castle to learn all about its history, before checking out its original rooms, many of which are furnished as they would have been back when the building was in use. Be sure to top off your visit with a climb up the castle towers for amazing views of Limerick. After the castle, head south and check out the iconic Milk Market located on Mungret Street. Nowadays the market sells more than just dairy products, but the name does come from a time when markets were prolific in the city, including the Butter Market, the Pig Market, and the Hay Market, each selling their specific item. Whilst many of these markets were relocated to a common area in the mid-19th century, the Milk Market continued to thrive and diversify the products on sale, and today it remains a bustling food market in the heart of Limerick. You'll find loads of different things to buy, including fruit and veg, baked goods, preserves, handmade chocolates, arts and crafts, and of course dairy products. Wander around the stalls and enjoy the market's atmosphere, picking up any souvenirs that take your fancy, and grabbing some delicious food for an on-the-go lunch. 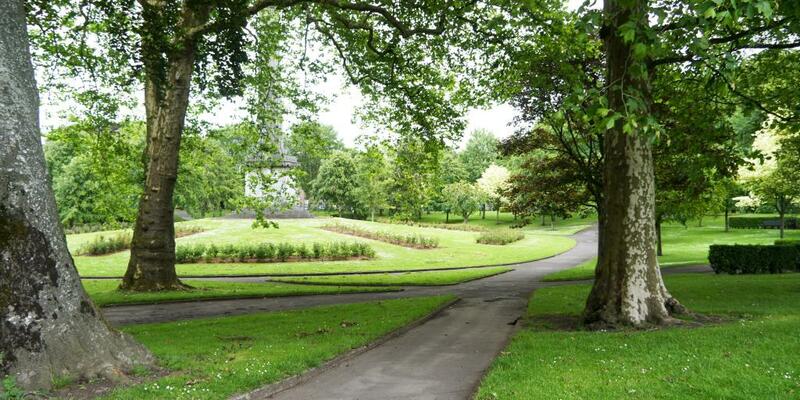 From here, wander down the road to People's Park, a leafy green space in the middle of the city. The park was originally intended to be a private area surrounded by Georgian terraced houses, however the Great Irish Famine caused a decline in the economy which meant this work was never completed. The park was officially opened and given to the people in 1877 (hence the name) in honour of local businessman Richard Russell. The best thing to do is wander round the park with no true direction, and stumble upon the Thomas Spring Rice Memorial Monument (a tall pillar dedicated to this highly regarded politician), the original 19th-century bandstand, and the ornate drinking fountain provided by employees of Russell Flour Mills. Just roam around and enjoy the park's quirky features. The Limerick City Gallery of Art is also located in the park, and is well worth a visit if the weather's a bit grey and you're in the mood for some contemporary Irish art. Set off for Galway in the afternoon with enough time for a diversion via the famous Cliffs of Moher before it gets dark. 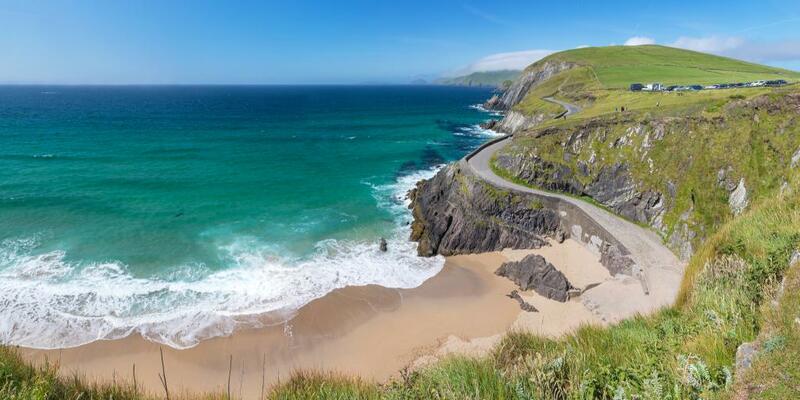 This stunning stretch of coastline runs for just under nine miles and has become one of the most popular destinations to visit in Ireland. There's a visitor centre built on the hillside approaching the cliffs which blends in seamlessly to the surrounding natural beauty, so a stop here will feel like it's just you and the wild Irish coast. It costs €8 to go into the centre, but the cliffs are just as amazing if you simply park the car a take a short walk around without going in. The drive to the cliffs takes around an hour and a quarter, with your total drive to Galway taking just under three hours. Bearing this in mind, you're likely to arrive in Galway pretty late, so find somewhere to ditch the car and head out for dinner before bed. Parking tip: The best option for parking in Galway for more than a few hours is in one of the long-stay car parks, which cost €5 per day (there are three: The Greyhound Track, Dyke Road and Galway Cathedral Car Park). Wake up early to make the most of your last proper day of the trip; it's going to be super busy! 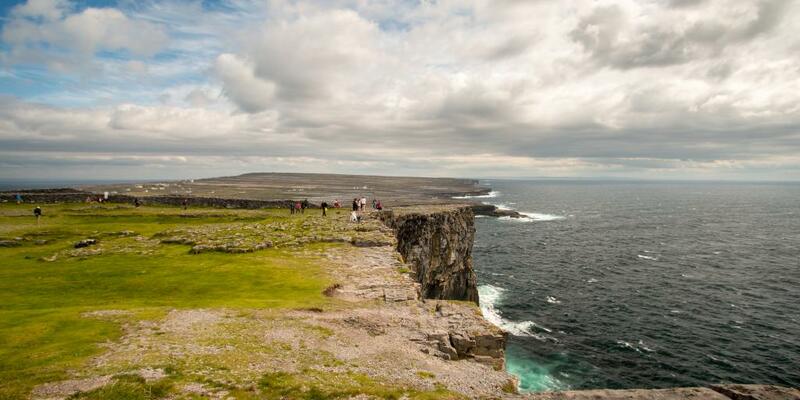 Save the city sightseeing for later and grab a picnic and hop in the car to Aer Arann Connemara Airport, around 30 kilometres away from Galway city centre, for your flight to the largest of the Aran Islands, Inishmore. 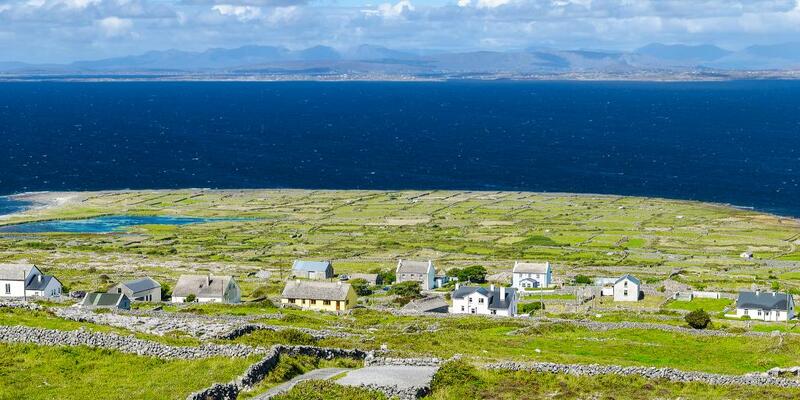 You'll drive along the coastal road (R366) which is a super scenic route, with amazing views of Galway Bay. Although you can get the ferry which is (only slightly) cheaper, think of the incredible views you'll get from flying, giving you a new perspective of the beautiful country you've been touring for eight days. Plus, the flight only takes about ten minutes, as opposed to an hour and a half on the ferry, so it leaves you way more time to explore. Once you land on the island, the best way to get around Inishmore is to hire bikes, so head to the hire shop at Kilronan Pier to begin your Aran Adventure. Alternatively, you can go on a minibus tour of the island or walk to the different landmarks - it's totally up to you. Once you've decided on your mode of transport, do a loop of part of the island (or the whole 14 kilometre stretch if you're feeling energetic). Go north from Kilronan Town, past the remains of St Ciaran's Church and Holy Well, continuing along the coast to the Seal Colony Viewpoint (definitely stop here and see if you can spot the seals) and along to Kilmurvey beach for a picnic. After lunch cut across the island to the prehistoric Dun Aengus fort (there's a bit of a climb), before heading back to Kilronan via the opposite side of the island. Aim to fly back at around three or four in the afternoon to leave a little time to explore the city when you return. 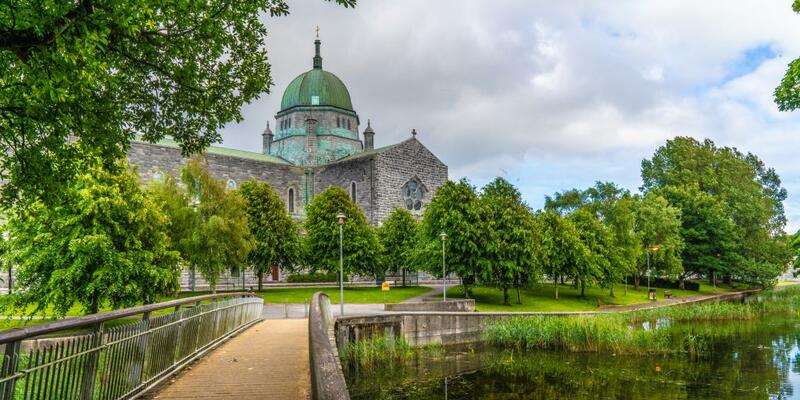 Although it will be later in the afternoon by the time you get back to Galway, there'll still be time for a quick self-guided walking tour of the city centre. You'll probably be pretty tired after your trip to the Aran Islands, so don't try and cram too much into this afternoon - you'll get a feel for the city from a short loop of the centre of town. Start at the Lynch Memorial Window where the mayor is famously thought to have hung his son in 1493 (a bit morbid, apologies! 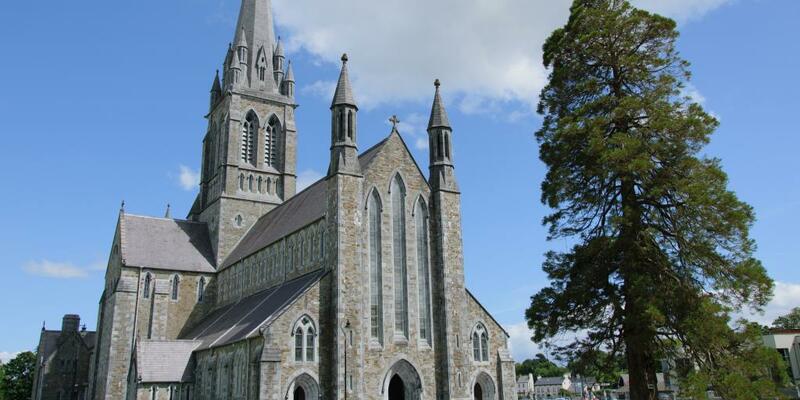 ), head past St Nicholas' Collegiate Church and south to the famous Spanish Arch and Galway City Museum. From here, head north east past the docks aiming for Eyre Square, a park that forms one of the central hubs of Galway. Although it's surrounded by big-name shops and busy restaurants, the square itself feels decidedly calm, particularly as there are many tributes and memorials scattered around the park. Take a walk around the square and spot the Browne Doorway (the doorway from the house of one of Galway's merchant rulers), the Quincentennial Fountain, the statue of famous writer Pádraic Ó Conaire, and the memorial dedicated to John F. Kennedy. If your flight/ferry doesn't leave until later and you can spare an hour or two on the morning of day ten, we'd recommend a quick visit to Galway Cathedral before you set off. Considered one of the largest and most impressive buildings in the city, it was built relatively recently, with construction starting in 1958 on the same site as the old city prison. The cathedral was completed and opened in 1965 and has been active ever since. Check out the colourful stained glass windows which shine dramatically against the grey brick walls, and the impressive ceiling dome surrounded by beautiful painted scenes. The cathedral is open from 8.30am, so get there as early as you can for a calming start to your final day. After leaving the cathedral head across picturesque Salmon Weir Bridge (see if you can spot some Atlantic salmon in the water) and wander back towards Eyre Square for a spot of brunch at Merchant Cafe and Bar (the Eggs Benedict is particularly tasty), before getting ready to return to Dublin. The drive to Dublin is around 130 miles and should take roughly two and a half hours, so bear this in mind when planning when you need to set off from Galway. The route pretty much follows a straight line across the width of the country, with the M6 taking you the majority of the way there. For the last activity on your Ireland road trip we can't think of anything more suitable than one final pint of Guinness (or any other tipple of choice) at one of those quintessentially Irish pubs; the driving's done, you're feeling nostalgic, and this epic holiday deserves to be toasted. The Palace Bar on Fleet Street is a great option; with its old-school Victorian interior and a reputation as one of Dublin's best-loved pubs, it's the perfect place to finish off your Irish drive. Do your research on where to hire your car from and book in advance. This avoids the stress of organising it once you've arrived in Dublin, and gets you the best price. Arrange to pick it up early on day two. Book your flights to the Aran Islands for day nine in advance - this is better for both organisation and making sure you get seats on your plane of choice. Carry a valid driver's licence - Visitors from certain countries also have to carry an International Driving Permit, so check before you set off! For UK license holders, a Check Code is also necessary when hiring a car to provide the company with full details of your licence (penalty points etc.). Each code is valid for 21 days and can only be used once. Drive on the left - This means clockwise around roundabouts! Road signs - In the Irish speaking areas of the country, expect all the road signs to be in Gaelic. This is true in counties Cork, Kerry, and Galway on this trip, so take your own map in English to avoid confusion. Tolls - Expect to encounter a couple of toll roads on the route. They all vary in price, and don't all accept card payments, so make sure you have some cash at hand. Parking - In Dublin, Cork, and Limerick you'll find Q-Park car parks dotted across the cities. These are a great choice as they're secure, clean, and reliable, as well as being easy to locate. Although Q-Parks don't exist in the smaller towns and cities on the trip, parking in these places is much easier anyway, with local car parks readily available.